Through wire constuction provides the strength required for Offshore Pelagic Fishing. 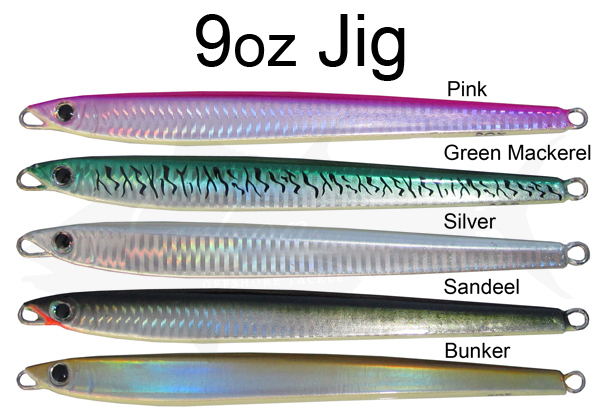 These tuna lures come in five colors with metallic finish. These lures are deadly when the fleet has pushed the tuna down to 50-90 feet and they won't come up for squid rigs. Click the button below to add the Carlson OffShore 9 oz Vertical Tuna Jig for Striped Bass & Tuna to your wish list.